Two Day Itinerary for the Big Island: Beaches and a Volcano! This is our itinerary for a two day (one night) visit to the Big Island. With it, you will have time to visit the volcanoes national park to see the Kilauea volcano in action and also to test the waters on both sides of the island. Upon arrival, pick up a car at one of the car rental offices on the Kona Airport, and get ready to fill your first day with outdoor activities around Kailua-Kona, and stay on the coast to enjoy the sunset. A word of caution: Seeing all sights in two days requires a lot of driving, and may bring along some stress. For a more relaxing two day itinerary you have to make the choice which is your “must see” Big Island attraction, and go for that one activity. For most people this is the Hawaii Volcanoes National Park since they also visit one or more other Hawaiian Islands. The trip at night to Volcano Village is a long drive (3 hours). We only suggest it because we want you to be able to enjoy both a Hawaiian sunset and to see the glow of the volcano at night. If you are not an experienced driver or have the chance to experience Hawaiian sunsets on other islands, we recommend that you drive to the park during daytime. After you pick up your car, drive down Highway 11 and explore Kona Town and perhaps take a quick dip at King Kam beach. 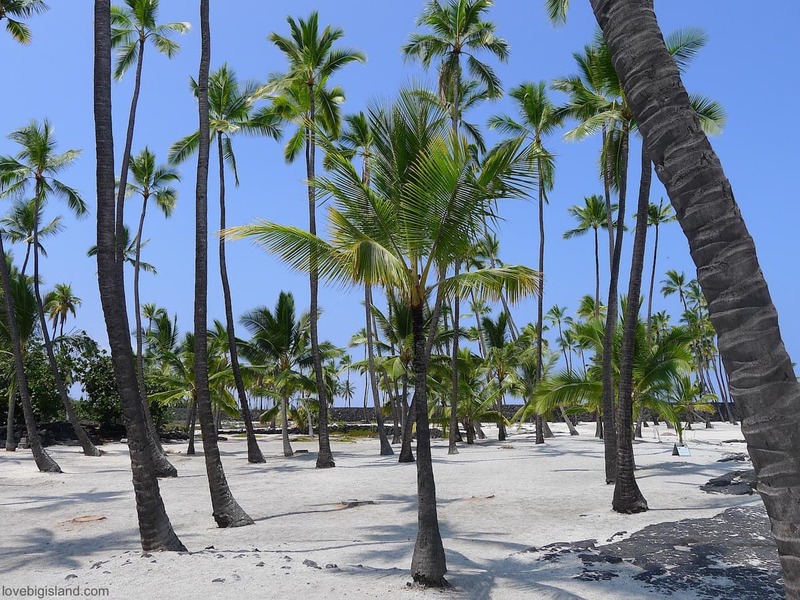 Then drive further south to explore the beautiful west Kona coast all the way to Puʻuhonua O Hōnaunau (also known as the city of refuge or Honaunau bay), one of the best snorkeling spots on the Big Island. Pick up some food and stay here to see the sun dip into the ocean. Then, Keep following the road to Volcano Village to spend the night there in a cozy vacation rental close to the Hawaii Volcanoes National Park. (make sure to book your accommodation in advance, since you will arrive late in Volcano Village. Have a look here for your options). 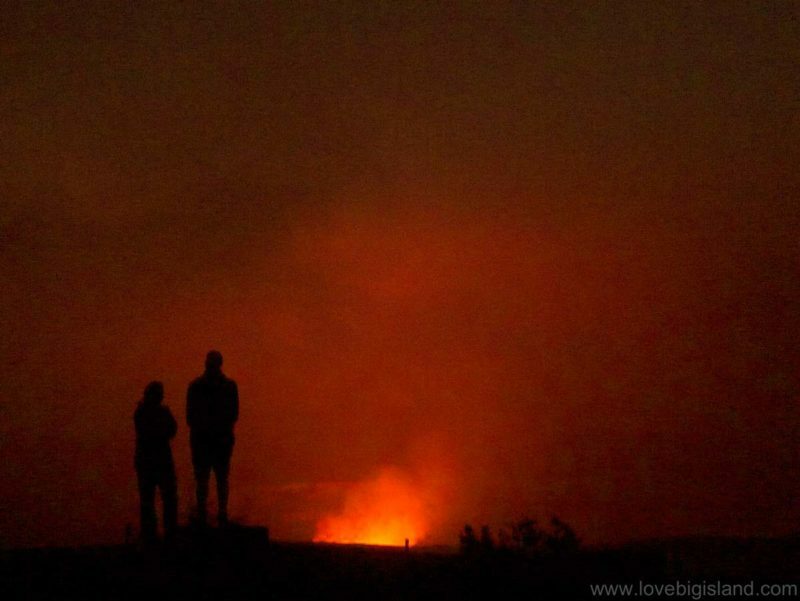 If you feel still strong after you check in to your place, drive the few miles to the Jaggar Museum in the Hawaii Volcanoes National Park to end your first day by seeing the glow of the Kilauea Volcano under the stars. You can visit the Hawaii Volcanoes National Park at night to see the glow over the halema’uma’u crater at the Jaggar museum. Get up early the following morning and drive to the national park. Check in at the Visitor center to get an update on the weather and lava viewing conditions, and spend your day till early afternoon exploring the lava tubes, sulfur banks and steaming calderas of the park. Then, drive down Highway 11 towards Hilo, and take the exit to highway 130 at Kea’au.This highway takes you into Puna, where you can explore the Lava Tree State Park and many picturesque roads. For an early dinner, go to the quaint town of Pahoa. If your flight leaves the island late, we heavily recommend that you also hike out to the lava to see it up-close and personal! (click here for our information and safety tips on lava viewing). From Pahoa it is a short (<45 min) drive to the lava. Make sure you arrive about 1 hour before sunset! Afterward, get back in your car and drive back to the airport. If you don’t leave the island late at night, you may want to skip exploring Puna, and head out directly to the Lava fields from the Volcanoes National park.